Perfect for any event and for any age! We use hypo allergenic inks that are safe for any skin and they smell great too. The alcohol based inks are waterproof and will last up to 2 weeks with care. We have 100's of stencils including holiday themes. Add Glitter to make your airbrush tattoos really stand out! Custom Stencils - For corporate events or very special parties, you can provide us with a PDF of your logo, a new item you want to promote or a remembrance of a special day. We can have a custom stencil made to be used at your event. 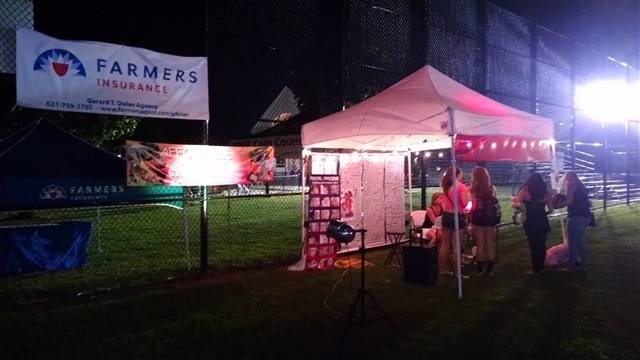 They can also be used as a means to allow access to special events, after parties, team building or as an incentive to bring people to your booth for prizes. Face Stencils - These stencils are designed to be used on the face. They have a built- in eye shield so that alcohol paints can still be used. Also, your tattoo will last up to 2 weeks with care, opposed to regular face painting that washes off immediately. Jewelry Stencils - These are the newest designs for airbrush tattoo jewelry. Have a jewelry party or add it to any event. We only use the best inks that are waterproof and safe for the skin. With care, they will last for 2 weeks. We offer these stencils with both Metallic Gold and Metallic Silver inks. 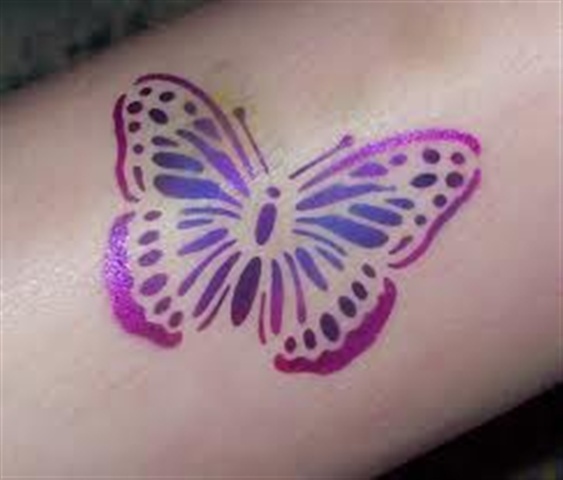 Affordable Party Rentals is proud to offer a great selection of airbrush tattoo stencils. Our tattoos are perfect for children and adults of all ages. With a variety of colors, designs and state of the art equipment, our airbrush tattoo artists will produce a great tattoo. Show off your cool new tat at any birthday, holiday or other special event. All our materials are delicate on skin and are sure to put a smile on our face. We understand how important it is to have fun activities at your party. Our airbrush tattoo service is sure to please you and your guests. Our wide variety of designs are safe for children and look amazing on anyone. We look forward to working with you at your next event! Our dedication to superior client support allows us to provide you with the highest quality party and event products and services. Our talented and experienced artists are passionate about their work and always deliver quality results. If you have questions about our airbrush tattoos options or our other selections, please call one of our friendly representatives today for more information.